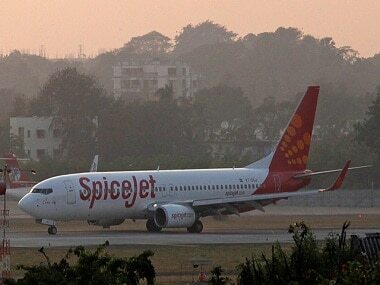 New Delhi: SpiceJet's chief operating officer Sanjiv Kapoor has resigned from the airline. Kapoor resigned some days back, one year before his contract expires, and may look to board another airline soon. His resignation marks the near total purge of top management by promoter Ajay Singh. Singh had taken over SpiceJet from outgoing promoters, the Marans, earlier this year. Since the takeover, he has been running the airline with a very "hands on" approach. Since Singh's arrival, others such as chief commercial officer Kaneswaran Avili and IT head Sudhakar Kondisetty had also left the airline. No successor has been named after Kapoor and airline sources say Singh will likely be even more 'hands on' now than he has been earlier. In effect, CFO Kiran Koteshwar is now the second-in-command at SpiceJet, they said. Another source pointed out Kapoor may join another Indian LCC but this could not be confirmed. 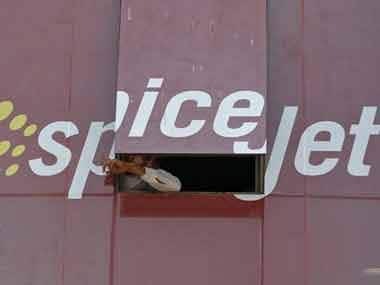 SpiceJet has been through a roller coaster since last year when for at least one day in December, the airline had to shut operations - it had no money to buy fuel to run its aircraft. Singh promised Rs 1,500 crore investment of which he has pumped in roughly half the amount till now. He has been able to renegotiate contracts with vendors, sort out myriad issues related to leasing of aircraft etc. and all this has been accomplished with generous help from the government. His takeover was one of the few instances where market regulator Sebi waived a mandatory open offer for minority shareholders of SpiceJet - and many believed this happened on a gentle nudge from the powers that be. The airline's financial performance has improved quarter-on-quarter as it reinstalled capacity, announced a series of fire sales and managed to negotiate favourable terms with vendors. Singh has now been talking of a large aircraft order before March 2016 even as deliveries from an earlier order for 55 Boeing 737 Max is scheduled to begin in 2017. In short, SpiceJet has been making rapid gains in market share while trying to shore up bottomline. So why did Kapoor resign now, just ahead of the Q2 results? A source said Singh and him were not on the best of terms and it was best for Kapoor to part on amicable terms despite his contract being valid for another year. There has been no confirmation from SpiceJet on Kapoor's resignation for the last two days despite repeated attempts by Firstpost. Remember, after Singh took over, chief commercial officer Kaneshwaran Avili and several other top officials were eased out as he handpicked his own team. Kapoor was earlier chief executive officer (CEO) of Bangladesh’s GMG Airlines and has worked with airlines in Asia, Europe and the US. 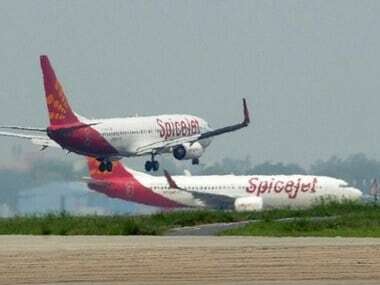 SpiceJet reported a net profit of Rs 71.84 crore for the first quarter ended 30 June this year compared to a loss of Rs 124.10 crore in the same quarter last year. The airline had swung to profit in the preceding quarter, after six straight quarters of losses.